Office of Financial Sanctions Implementation (OFSI) in the U.K.
David McLean is Deputy Head of the Office of Financial Sanctions Implementation and leads OFSI’s Enforcement & Compliance, Counter-terrorism, and Engagement functions. His portfolio includes helping people and companies comply with the law on financial sanctions, and working across Government and law enforcement to ensure breaches are fairly, proportionately and robustly enforced. Before joining OFSI in May 2016, David was Deputy Director, Investment at UK Trade & Investment, working to help overseas companies bring their high quality investments to the UK. The majority of his career has been in the tax advisory, compliance and fiscal crime fields for HM Revenue & Customs. 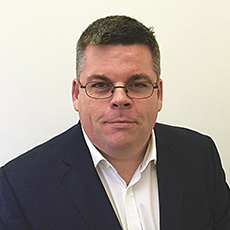 David is a qualified investigator, and holds post-graduate qualifications in Advanced Investigative Practice, Company Direction and several financial crime disciplines.